The Super Soco TS1200R is one of the most popular electric mopeds in the UK. Combining style, well designed practicality and an affordable price it's quickly becoming the ideal commuter vehicle for longer inner city routes. Featuring a powerful 1200W Bosch motor, it can accelerate faster than petrol 50cc engines and has up to a 50mile range. 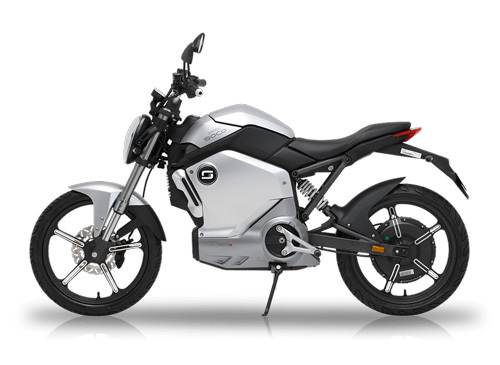 Restricted to 28mph, it qualifies as a moped in the UK and can be ridden on a CBT licence. Charging is simply done from a 3 pin UK plug, and a second battery is available for doubling range. The 60V 26AhAH batteries are made by Samsung, LG or Panasonic with a 3 year manufacturer backed warranty. 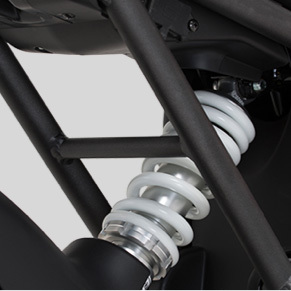 Advanced features such as USD front forks, adjustable rear mono shock, full LED headlights, keyless starting, anti theft alarm and lightweight frame offer real value for money combined with the very well regarded Bosch motor system. For licence guidance please see our electric bike licence guide. If you gained your licence before 1st of February 2001, then you do not need a CBT licence to ride a moped. We are able to offer finance however an initial £1,000 deposit is required for the TS1200R. Please contact us for further details. I just wanna ask in that do i need any insurance or roadtax for this bike? Or can i just hope on and ready to go? Yes, you will need insurance. Because it's electric it will be excluded from road tax (no emissions). You can find more information about insurance on our dedicated page here. Removable Battery. Second battery available to double the range! Charge at Work or at Home. Batteries come with a 3 year manufacturer backed warranty. Call it whatever you want. 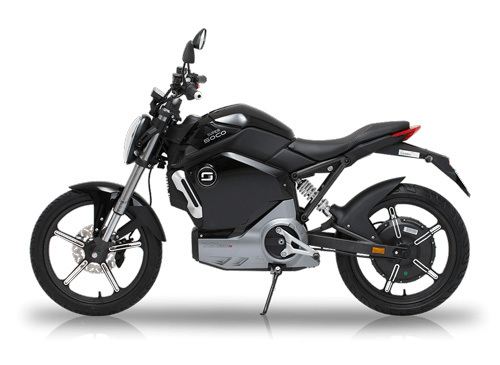 The new Super SOCO TS1200R is state of the art when it comes to e-mobility. No straight lines or old-fashioned scooter-design. Choose between five great looking colours. If you're interested in joining the electric bike revolution, then choose your colour and battery size above and purchase online. If you would like to apply for 0% finance options, please get in touch! A member of our team will be in touch to arrange delivery. This is done by our own team with final adjustments and questions answered at point of delivery to make sure that it is Ready to Ride! 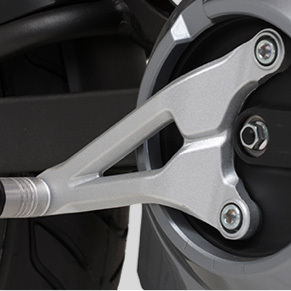 The TS1200R features a powerful 1200W (1950W Max) high torque Bosch Motor which allows faster acceleration than a 50cc petrol engine. The bike has a maximum speed of 45mph although this is restricted to 28mph for Moped classification in the UK. Range will be dependent on several factors but as a guide with a single battery 30 - 40 miles is expected. An optional second battery can also be fitted which would double the range. 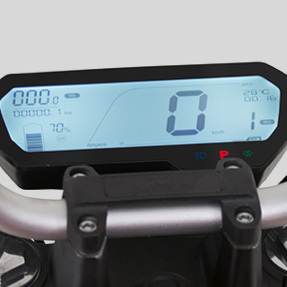 The battery can be charged in the bike, or easily lifted out and then charged indoors. This solves the parking / charging problem so you don't have to run a power cable to where the bike is parked. 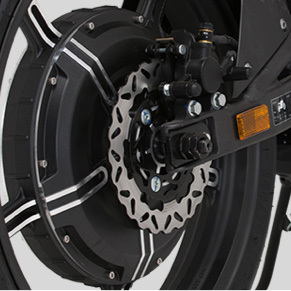 The battery charger is included in the price and fits inside the bike for ease of transport. It is a standard UK 13amp plug so can be plugged in at home or work as required. 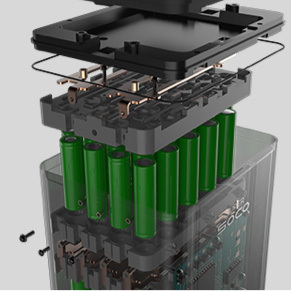 The 60V 26AhAH batteries are made by Samsung, LG or Panasonic with a 3 year manufacturer backed warranty. 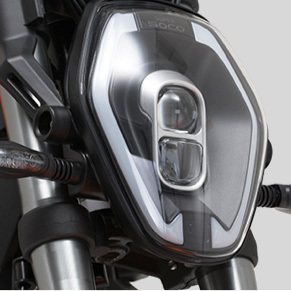 Advanced features such as USD front forks, adjustable rear mono shock, full LED headlights, keyless starting, anti theft alarm and lightweight frame offer real value for money combined with the very well regarded Bosch motor system. 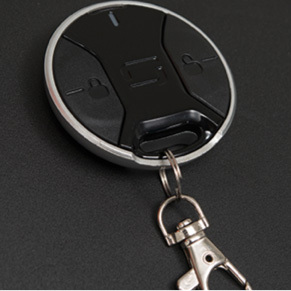 Removable and rechargeable, enabling 30 miles of range, and charged using a 3-pin plug. 7-8 hours for a full charge. Install 2 batteries for twice the range. 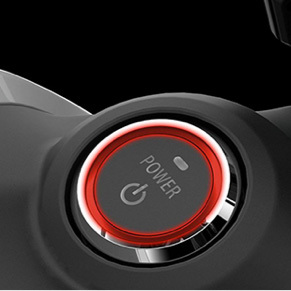 The Bike can store 2 Batteries at once, doubling your effective range. They come out without the need for tools and ergonomic handles making moving them easy. 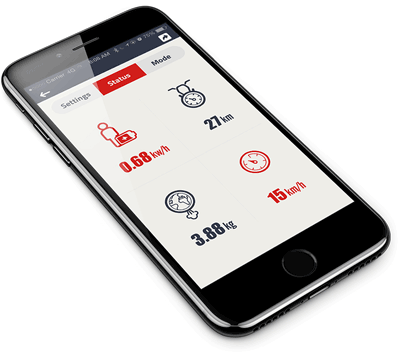 Manage your bike remotely - such as viewing battery and range data, modes for your bike and riding info. Please be aware that you will require a valid full or provisional Motorbike license or Moped CBT license to ride this bike. It is speed limited to 28mph and qualifies as a Moped. A CBT License usually costs around £100. If you gained your license before 1st of February 2001, then you do not need a CBT license to ride a moped. How cheap is an Electric Motorbike to run? Of course this depends on how much you pay for electricity! For home-charging based on a rate of £0.18 per kWh, a full battery charge will cost less than £1.00. The batteries can be charged from a home 13A socket. One of the biggest benefits of electric motorbikes are the lack of maintenance costs due to fewer moving parts. Some elements such as brake parts will need attention, however this is much less than a ICE engine. 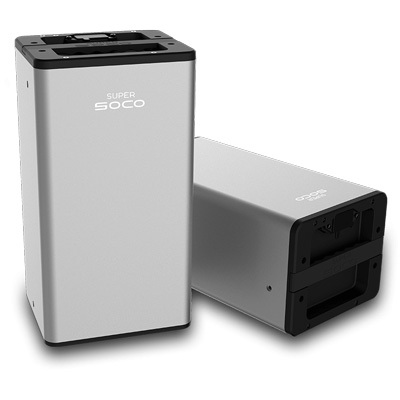 Battery technology has improved drastically in the past 5 years, and the Super Soco battery is built by leading brands such as Panasonic, LG and Samsung. They guarantee 80% of their initial capacity over 3 years of use. If your battery loses more than 20% of it's capacity over this life span, you may qualify for a free replacement. "After spending the better part of a day navigating my way around London's nadgery back roads I was impressed with the Super Soco." "You'll struggle to find a more affordable form of short-distance motorised commuting than this. Would I buy one? Yes, I would."